The Econo Keyboard Tray provides adjustability to provide the most comfortable and ergonomic keyboarding position. 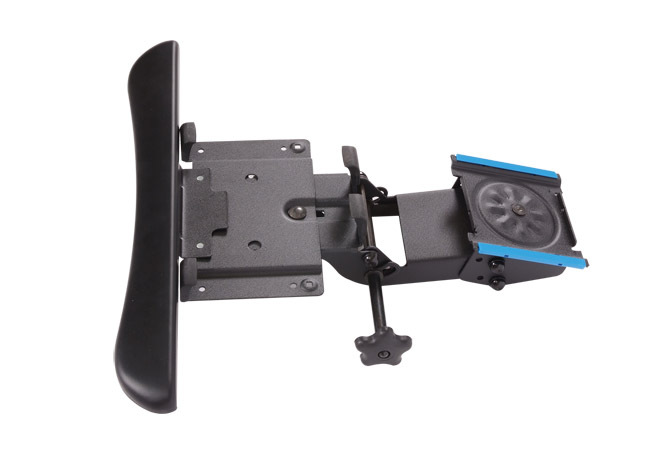 Included is an articulating arm, slide, and keyboard clamp with palm rest. The clamp is easy to operate and will secure most keyboards. The arm adjustment knob on the side makes height and tilt adjustments simultaneously. The arm features 360° of swivel rotation. The keyboard tray slides under the worksurface when not in use.